April is shaping up to be a big month for K-Pop, and it just got bigger. In just a few weeks, BTS will return with their new album MAP OF THE SOUL: PERSONA. That’s not all, though. The legendary septet are planning to mark the release with a history-making performance on SNL. But before all that can happen, we’ll be graced with new music from K-Pop Queens BLACKPINK. Over the weekend, the “DDU-DU DDU-DU” divas hopped on social media to tease a new project. Uploading a fashionable promo photo featuring group-member Lisa, they announced the title – Kill This Love. They also confirmed the looming release date – April 5. The quartet shared even more information with Billboard. Apparently, Kill This Love is the title of their latest EP and next single. “BLACKPINK’s upcoming new song is a very fierce track, even more so than ‘DDU-DU DDU-DU,'” a press release promised. And the accompanying video is sure to be equally ferocious. According to the press release, it features choreography from “four world-famous choreographers” and is being shot over the course of four consecutive days on set. All things considered, it sounds like the hitmakers have their biggest hit to date on their hands. The release follows last year’s Square Up EP, which broke into the Top 40 on the Billboard 200. The EP’s lead single “DDU-DU DDU-DU” peaked at number 55 on the Billboard Hot 100. At the rate things are going, it seems obvious that they will soar even higher this time around. 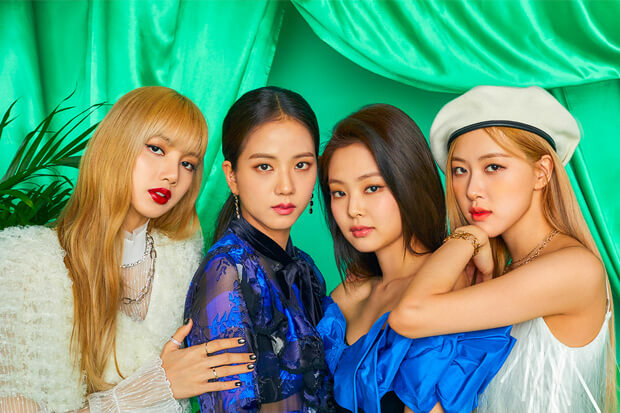 Later in the month, BLACKPINK will make even more history as the first K-Pop girl group to perform at Coachella. Talk about a busy month! While we wait for a taste of what the ladies are cooking up, check out the teaser below. Are you ready for new music from BLACKPINK? Let us know below, or by hitting us up on Facebook and Twitter!